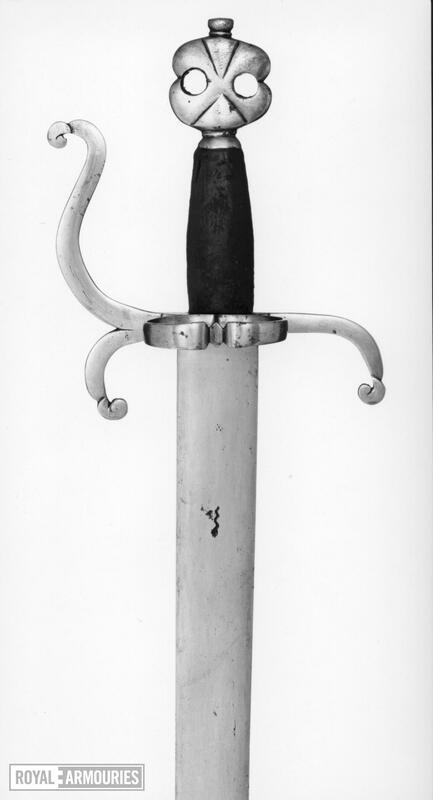 The hilt is made up of a flat pierced and chiselled steel pommel with a wooden grip covered in (old) velvet, down-curving quillons, wth integral ring-guard and knucle-guard, all of flat-section. The blade is straight and two-edged and has probably been shortened at some time. The blade bears a stamped mark (of 'snake' form) stamped once on each face of the blade.